Amber… “alert” adds your mind. The “amber” of traffic signals or homeland security. Or maybe like me, you too live in a world where amber is used on dashboards and reports… a sign that things are not quite right – watch out! It was once living matter, pulsing with life. The resin from trees that even as it hardened and turned into this gilded jewel like substance, still hid light and life in its depths. It often holds within it, perfectly preserved and contained for all time, evidences of life in another time – insects, small animals, bits of plants. And that’s what makes amber so amazing, so splendidly beautiful. It encompasses parts of a story from long ago …. parts which if pieced together help us see and understand much more of that story – a window to the past. Isn’t that what our relationships are like? Like amber in which a thousand precious and subtle thoughts have been safely embedded and preserved. The most beautiful and precious part of our life; containing so many hidden depths, so much light and brightness. They contain parts of our story — each one encapsulates some facet of our personality, events and incidents, our beliefs and axioms, the things that move us – our deepest thoughts and feeling. No biography could tell our story more faithfully than that contained in our close relationships. We live in the people who know us, love us… our story gets passed on through them to so many others, we become part of their story. Amber? !! The best of our relationships are electrifying…full of potential and energy… yet warm and comforting. Still another aspect of amber! The Greek word for amber is “electron” — it’s from amber that we derive the word electricity. Ancient Greeks first discovered that amber had another intriguing property — when polished it could attract objects, it could even emit sparks. It was believed to contain energy within it — which is why it attracted objects, felt warm to the touch. In India, amber is worn to pacify the mind and keep you balanced. 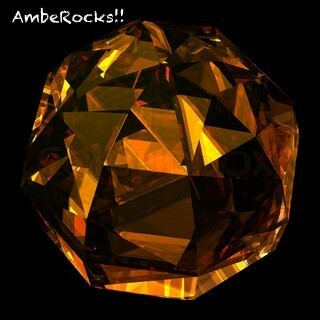 Amber – such a fabulous thing… holds a wealth of meaning and stories. It is magical. A pity that we have reduced it to a level where we link it automatically to alerts… to danger. This entry was posted in Uncategorized and tagged amber, relationships. Bookmark the permalink.